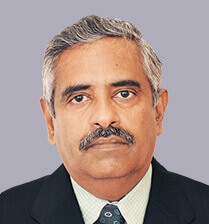 Saravanan Murugesan is the Founder and CEO. He is based out of US managing global operations of 4i. He has been the pivotal force of 4i, marshaling the resources and guiding the Organization to a path of continued progress from inception. More than 20 years of experience, spanning Consulting & Implementing Oracle Applications and in Manufacturing & Production Planning Control. 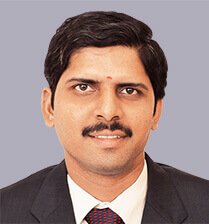 He is a Mechanical Engineer and alumnus of Thiagarajar College of Engineering Madurai. Prior to launching 4i, he has worked with frontline IT companies and has travelled extensively across globe during his Oracle Apps Consulting career. 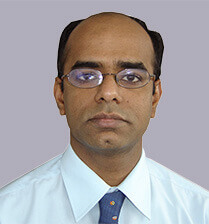 Srinivasan N is a strong professional in Finance and IT. He is one of the pillars of 4i Apps and the guiding force behind many of the initiatives. During the last 35 years, he has carried out global financial and IT projects in multiple countries. He has served different industry segments including Banking, Manufacturing, Retail,Trading, Construction, Public Sector and services Industry. He has detailed knowledge of different business verticals and has been providing solutions that have benefitted hundreds of Organizations across the globe. His asset is constant learning and keeps updating with all the latest technological advancements and its application to bring business benefits. Carried out assignments involving system study, system conceptualization, system design, system development, quality assurance, system implementation, etc. Directly got involved in direction / direct implementation of 100s of engagements spanning government institutions, private sector organizations, trading and manufacturing organization. 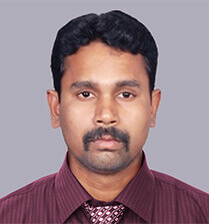 Kathiresh is the Head of Business Development. Kathiresh remains the young face of the Management team and has infused lot of energy, freshness in approach and enthusiasm into the system. Kathiresh carries more than 15 years’ experience into Sales and Presales for Oracle technologies, through his ability the business keeps growing exponentially YOY. He is an Engineer with consistent excellence in academics. He also additionally drives the Corporate Communications and packages 4i to customers and the external world. 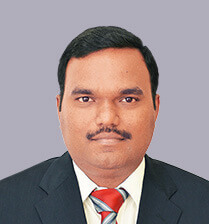 Ravisankar is the resident head of Middle East and Africa operations. ME is the most significant region in terms of contribution to Growth. More than 20 years into Oracle Sales & consulting experience spanning host of clients ,across geographies having donned various roles ranging Pre Sales, Consulting, Delivery Management, Technical Architect, Corporate Training. He carries excellent Program Management skills and ability to manage multiple accounts at the same time. He has always left a lasting impression with any client given his dedication, genuineness and immense knowledge. Ravi is an Mechanical Engineer. With about 22 years of professional experience, Srinivasan Manickam started his career in Managing Construction Projects. 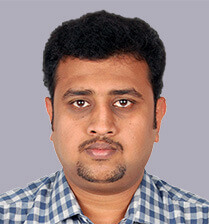 Thereafter, he migrated to a career in Oracle Apps Consulting as Functional Consulting in Projects Accounting module. He has about 15 plus years in Oracle EBS, Oracle Fusion and Primavera with excellent competence in Projects Accounting having executed multiple implementations across geographies. He heads the business for India, APAC and Europe region. People Management coupled with extreme dedication Srini remains a pillar of strength of 4i Apps. 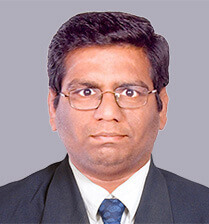 Ganesh Jambulingam has strong expertise in Oracle Supply chain Management and Customer Relationship Management with experience of close to 18 years. He has played pivotal roles including Solution Architect, Project Management, Business Process Reengineering for multiple Oracle projects implementation successfully which includes fortune 500 companies as well. He was instrumental in developing the center of excellence within 4i for Oracle SCM and CRM portfolio. He has implementation experience in multiple industry verticals like Trading, Government sector, Oil and Gas, Discrete Industries, Process Industries, Tourism, Airlines sector, Maintenance sector etc. Rajmohan Krishnamurthy, our Technology & Practice Development Head, comes with 18 years of strong technical experience in Oracle Applications and Technology. A Computer Science Engineering graduate, Rajmohan has a strong affinity towards technology. Having donned the role of a Solution Architect for major technical projects, he has a thorough understanding of different business functions in an organisation and the data movement between various systems. As a hub of solutions for the technical workforce, Raj is always amidst action . He is very passionate to acquire new skills and remain abreast with advancement in Technology. He is the Gen next of 4i Apps when it comes to Technology. 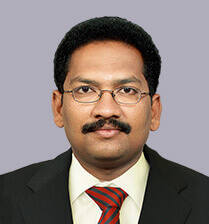 Saravanan Govindasamy is an Oracle Principal Consultant with 20+ years of experience, out of which around 15 years is in Consulting & Implementing ERP solutions and around 7 years in Finance Domain. He has excellent knowledge in Oracle Finance and Hyperion modules and carries good competence in other modules and Technologies . He has been Involved in end to end project cycles having rolled out the several projects successfully. He has worked across geographies having delivered complex solutions in process. He carries an array of Post Graduate qualifications including MBA, M.Com,MFM, MCS degrees apart from the various certifications he has done on Oracle Applications. Very unassuming as a person and his dedication to work and willingness to learn makes him a great asset for 4i Apps. 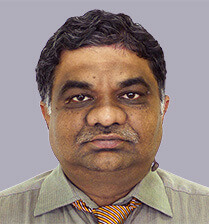 Ravichandran is a Graduate in Commerce with Professional experience spanning 28 yrs. He comes with good experience in Support functions spanning Finance and Accounts, Human Resources and Administration. 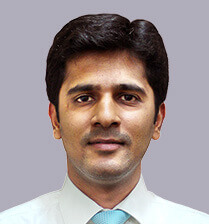 He has worked across industries ranging from Trading, Manufacturing and IT & ITES. Good communication and Interpersonal skills are some key strengths of him. He manages the Human Resources and Talent Acquisition for 4i Apps.